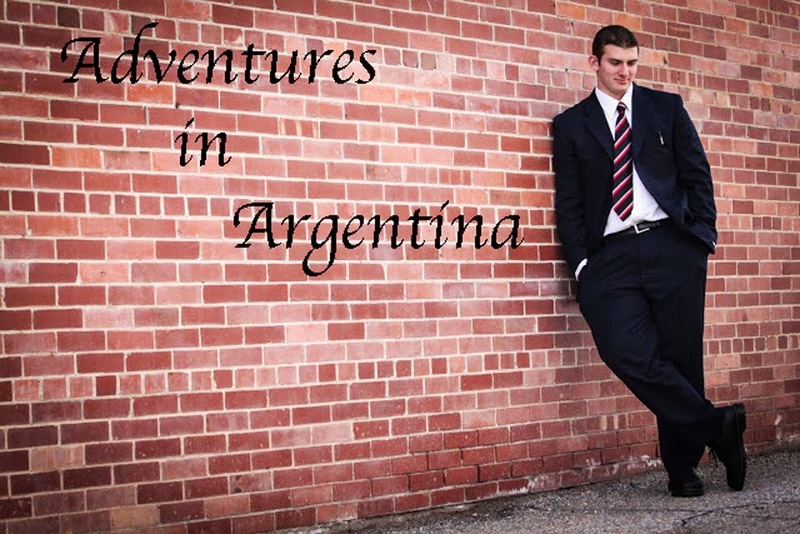 Adventures in Argentina : I Made It to ARGENTINA! I Made It to ARGENTINA! I guess I would just like to tell everyone that Argentina is pretty ghetto. Well not ghetto, more like 2nd world. I walk in dirt roads everyday! Its pretty great! I will send some pictures. But this is how this week went pretty much. I came down on a 12 hour plane ride and met my mission president. Great President. He was a religion professor at BYU-I and is super smart about the scriptures. So I know if I need any deep doctrine questions answered, I can ask him. But the area I am in se llama La Costa. I am in the Coast. Its kinda like getting banished because it is the farthest District in the mission. There are 2 sets of Elders in this district. And there are 3 sets of Hermanas. Lots of Hermanas because this is the safest part of the mission. President Thurgood said this is one of the most dangerous missions in Argentina. Well, missionaries get robbed a lot anyway. They get guns and knives pointed at them. He said they are kinda like mosquitos. My companions name is Elder Rivero. He is Chilean! Entonces, Yo necessito hablar Castallano cada día. My Castallano is getting a lot better though! Also, I am opening up a new area...again...This would be my third time being white-washed, or opening a new area per se...Elder Rivero es muy capo though. This is his 2nd time being white-washed. The members here are so nice! We have lunch with them everyday! So far I have eaten a lot of chicken and rice. I have had cow tounge already though. It´s actually not that bad. Tastes like a certain meat, but I can´t remember what it is. There are a lot of stray dogs in the street. They don´t bug people though so it´s all good. Really ugly dogs though. The prettiest one I have seen was a mix breed between a rotweiller and a weiner dog. They are so cute! They look like little puppies! ¡Que Linda! We have done much in this area since we started to get the members trust first. We also tried to contact some Antiguos Investigadores. Or former investigators, but right as they see us, they start to freak out. Don´t know what happened, but okay. 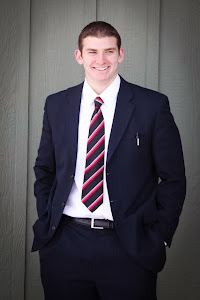 My district leader´s name is Elder Robison. He is from Fillmore, UT! Well, a little town outside of Fillmore. He is the coolest person ever! He and I are basically the only ones that talk to each other. His companion´s name is Elder Riboldi. He is from Saratoga Springs, UT... and he was a visa waiter, just like me, but in Fresno, CA. He had 8 baptisms while he was there. He said he doesn´t like it here because they aren´t super strict with rules. Every mission is different. He preaches about being exactly obedient. But sometimes, it´s more like strictly obedient. I´m getting kinda confused between the difference of exactly obedient and strictly obedient. He does talk about his mission in Fresno a lot. It´s good but sometimes too much. His Dad is Argentine and so he has a pretty good relationship here with Argentinos. He´s kinda got that attitude of an Argentine thinking that he knows everything and if your opinion is different that his, you are an idiot. That´s pretty much an update of what is going on. I will probably not send real letters to anyone because they are expensive and e-mailing is only about 20 pesos. But, if anyone wants to send me a letter, I recommend pouch because it´s safer. Also, if someone sends a package, make sure to wrap it in a brown wrapping, with the Virgen Mary stickers on it, so that people don´t touch it. Something I learned this week: Joseph Smith was a stud! There was no way that he did all the things that he did, just for attention. Joseph Smith was called of God and I know it! I know he restored the gospel of Jesus Christ and was the first prophet of this dispensation! I also learned that our main objective of this life is to become as Christ. But, that can be a little daunting because Jesus Christ was the only perfect person that ever came to this Earth. In 2 Nephi 28:30 it says to work little by little, precept upon precept. So, I know that we can become even as Christ. Well, at least strive to. This scripture also helps my confidence with Castallano because I know it will come little by little and not just automatically. I just gotta have patience. Love you all! Can´t wait to hear from all of you!